Please let me know who is responsible for scheduling the Mobile Monitoring Van as we have gas wells near my home and my nose bleeds are getting worse. 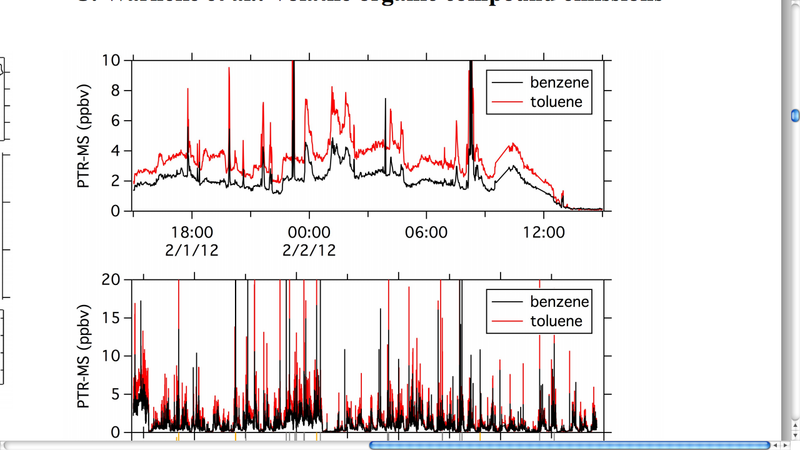 Dr Epstein presented information recently about a monitoring van uncovering in the dry gas area of Utah high benzene…I’m really worried also about formaldehyde too. Please help schedule a time for the van to be deployed to our area, thank you. Read it and weep.… the name of the peer reviewed study is…. A mobile air monitoring van was used in this sampling and we have one of those in Austin…I have asked in the past to have them ride around Arlington, but with no such luck…now I will ask other groups to bug them for this ride-by-readings-tricked-out-van to tell us what we breathe driving next to these padsites. Saturday I attended the first annual Roots and Branch Conference by Downwinders and Dr Anne Epstein gave a presentation that included this study. I am putting hard copies of her presentation in each of our City Councilperson’s in box and try to get a copy to our city health officer, Cynthia Simmons…not that she ever responded on any of my gas drilling concerns. The chart below is entitled C. Warneke et al. : Volatile organic compound emissions. Some statements I thought you should read in case you don’t review the study…. 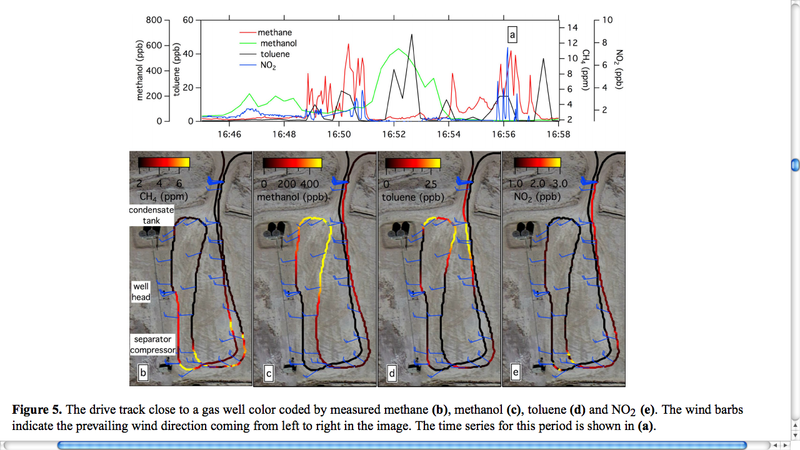 pg 9 “Methanol is used as an anti-freeze and anti-coagulant, injected into pipelines and down the wellbore and, as a result, very high mixing ratios, often over 100 ppbv, were observed at many of the oil and gas well pads and at many of the other point sources”. pg 11 “Other point sources, such as a flowback pond from a recently hydraulically refractured well and evaporation ponds, were also found to be large VOC emission sources”. Arlington doesn’t have flowback ponds (we just have freshwater ponds)… B U T…when we flowback…we do so in OPEN HATCH flowback tanks and we see the steamy, hydrocarbon ladened VOC’s coming off those tanks. If only our ordinance mandated closed, pressurized flowback tanks. This entry was posted in Uncategorized and tagged benzene, formaldehyde, mobile, mobile monitoring van, Monitoring, study, TCEQ, utah, van, vo, VOC, voc studyutah. Bookmark the permalink.